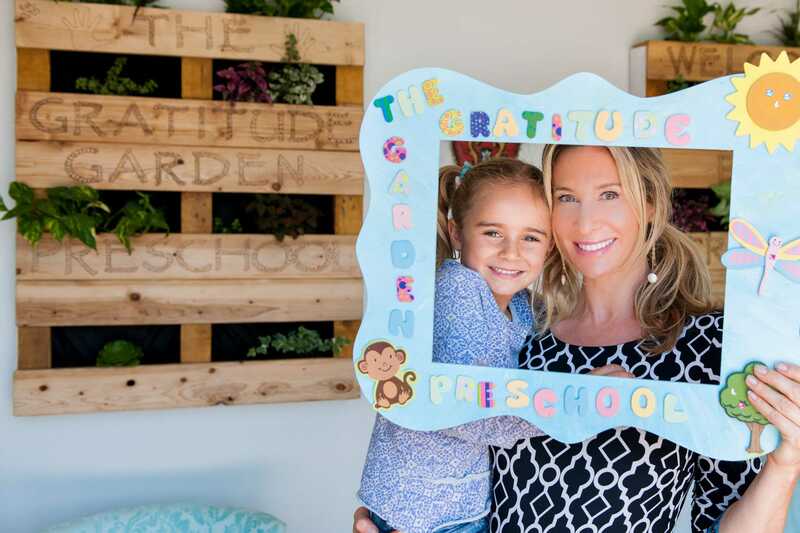 Welcome to The Gratitude Garden Preschool. Finding a preschool that develops your child’s emotional, intellectual, social, and creative needs is an exciting experience. When I began exploring preschools for my daughter, it was important to find a curiosity-driven learning environment that picked up where we left off at home; a place where learning was so fun and natural that it was irresistible. Like every other parent, I wanted a clean and modern preschool reflecting current research and practice in early childhood education, with a balance of curiosity-driven STEM curriculum, exploration in nature, and the important development of gratitude, empathy, and resiliency. The need for this type of preschool for my daughter and every other young child became the inspiration for The Gratitude Garden Preschool and TESLA Country Day. As a professor at Pepperdine University, a researcher, and a parent, I have carefully examined the needs of today’s children. Using current theories and curricula in early childhood development, our team has carefully designed this school to address all developmental and intellectual needs of the 21st century learner. We are a nature-based STEM (Science, Technology, Engineering and Math) focused school with emphasis on positive social and emotional development, artistic expression, and creativity. Early exposure to these concepts ignites intellectual creativity, critical thinking, and establishes a foundation of curiosity that supports academic well-being and a joy for learning. Our school draws inspiration from the schools of Reggio Emilia, however, we balance our day using a variety of philosophies, methods, and practices. We are one of a kind. We utilize the rich teaching opportunities and discoveries of nature and animals. The classrooms are both indoors and outdoors, allowing students to explore, play and apply early concepts in math, engineering, science, art, ecology, and social skills. We invite the greater community into our school for demonstrations in various professions and trades. As a result, students learn to appreciate the world and people around them, and we take every opportunity to nurture such positive motivations and character strengths in our students. The Gratitude Garden offers an innovative and well-rounded program for our future innovators, leaders, and entrepreneurs. Please visit our campus to see our program in action. I look forward to sharing the memorable preschool years with you and your child.